The summer music slump seems to have begun... Apart from Lily Allen tweeting she was back in the studio, there's little of note flying around this week. 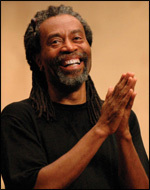 So here's a remix of a song from 25 years ago - Bobby McFerrin's acapella perv-fest Thinkin' About Your Body. In the UK, it's probably better known as Thinkin' About Your Chocolate, as it was repurposed for a Cadbury's advertisement (featuring the biggest chocolate bar you have ever seen). The remix comes courtesy of Falcon Punch, about whom I know nothing, other than they're big Nintendo fans. Their reworking adds a generous dollop of house piano and some questionable "singing in the toilet" reverb. Paging the Freemasons: If the above track kickstarts a trend for remixing songs from 1980s chocolate adverts, can this be next?